You’re here because your current shampoo didn’t solve your problem. Maybe you just found out that selenium sulfide is wonderful at dealing with conditions like seborrheic dermatitis and dandruff. So, you want to change your current shampoo and to replace it, are looking for the best selenium sulfide shampoos on the market. Well, this is the place to be if you want to know which selenium sulfide shampoos you should get. At the same time, it is always good to know what you’re going to put in your hair or on your skin. This is why, before we dive into the 6 best selenium sulfide shampoos available in the market right now, it might be a good idea for you to learn a little more about selenium sulfide. Here we go. Easily the cheapest selenium sulfide shampoo that works available in the market. Contains conditioner and it is extremely effective against dandruff. Extremely effective against dandruff and seborrhea and without any significant flaws. What Are The Benefits Of Selenium Sulfide For Hair? How Effective Are Selenium Sulfide Shampoos? What Types Of Selenium Sulfide Shampoos Can You Use? Are There Any Risks Associated With Selenium Sulfide Shampoos? Selenium sulfide is a chemical compound that is formed when selenium and sulfur combine in a ratio of 1:2. Many shampoos use it as the primary active ingredient because of its anti-fungal properties. Additionally, selenium sulfide is also proven to be effective against other infective agents such as bacteria and yeast. This makes selenium sulfide very useful against problems like dandruff, seborrheic dermatitis, tinea versicolor (sun spots), and even tinea capitis (scalp ringworm). Before selenium sulfide was developed, sulfur was used to deal with fungal, bacterial, and yeast-based infections on the skin or scalp. However, sulfur almost always caused severe irritation and even inflammation when not used in the right way. Therefore, as soon as it was developed, selenium sulfide became a much milder and more effective option. All the benefits of selenium sulfide are derived directly from its anti-infective properties. It prevents infections from microorganisms such as bacteria and fungus (including yeast) growing on your scalp and your skin. This has resulted in selenium sulfide becoming the go-to solution for severe cases of seborrheic dermatitis and tinea versicolor. Bacterial or fungal proliferation on your scalp is the root cause behind problems such as itching, redness, scaling, flaking, and irritation. While the swift action of selenium sulfide may make you think that it deals with these symptoms directly, that isn’t true. Selenium sulfide works in two ways. The first is to prevent the infection from occurring in the first place and the other is to slow down its growth. The process behind prevention is simple enough in that it just keeps the infective agents from taking hold on the scalp. However, when it comes to slowing down the growth of existing infection, the process is a little more indirect. It slows down growth by dealing with dead skin cells on your scalp. Dead skin cells accumulate when microorganisms consume oils produced by your scalp. As your body tries to get rid of these foreign agents, dead skin cells start accumulating on your scalp. Because of the cleansing action of selenium sulfide shampoos, dead skin cells that have already collected on your scalp are removed. As a result, selenium sulfide also resolves flaking, itchiness, irritation, and scaling caused by a buildup of dead skin cells. Another annoying problem that many people have trouble getting rid of is dandruff. The cleansing agents in selenium sulfide shampoos help clear the scalp of dandruff flakes in the same way that they remove dead skin cells caused by infections. This means that selenium sulfide shampoos can help persistent and severe dandruff problems as well. The fact that doctors recommend selenium sulfide for the severest cases of seborrheic dermatitis, tinea versicolor, psoriasis, and dandruff shows that it is an extremely effective chemical compound. Shampoos based on selenium sulfide, thus, are very effective as well. This study and others prove undeniably that selenium sulfide shampoos can resolve problems like heavy dandruff, seborrheic dermatitis, tinea versicolor, and even psoriasis only after a few weeks of use. Even so, you should be mindful of the fact that you may have to try more than one selenium sulfide shampoo to get the right results. The reason for this is that a shampoo may work excellently for your friend but be completely ineffective for you. The opposite may be true too that the product that does wonders for you may be a complete dud for your friend. There is just no way to be certain which selenium sulfide shampoo formula will work on your specific and fairly unique physiology. It is assured, however, is that selenium sulfide is not only effective but increasingly efficient. Selenium sulfide is primarily used in two concentrations in products – 1% and 2.5%. Globally, selenium sulfide products are treated as over-the-counter (OTC) items and are available freely. In the US, however, laws are more stringent. As per American laws, products with 1% selenium sulfide can be sold OTC but products with 2.5% concentration cannot be sold without a prescription from a doctor. Practically, this means that if you want 2.5% selenium sulfide shampoos, you’ll have to consult a doctor, preferably your dermatologist, and get a prescription. You can, of course, choose to order from a country with less restrictive laws but we wouldn’t recommend that. You can never be sure of the authenticity or quality of the product you’ll be getting. Fortunately, we are confident that most of you won’t need 2.5% selenium sulfide shampoos. In fact, 1% selenium sulfide shampoos will be more than enough to deal with whatever symptoms and problems you may be trying to deal with. Besides, wouldn’t it be better for you to try the more accessible and cheaper 1% selenium sulfide shampoos before you spend exorbitantly consulting doctors and buying products with higher prices? Selenium sulfide is a chemical compound. This means that it isn’t without risks. Those risks, though, only come into play if it isn’t used in the right way i.e. the right doses and the right frequency of use. This isn’t a black mark against selenium sulfide as it is true for everything under the sun. For example, research shows that if you have too much vitamin E, it can increase the likelihood of death! Similarly, if you have too much iron, it can result in an extremely painful condition called the Dysmetabolic Iron Overload Syndrome (DIOS). The question is: what risks will you take if you use selenium sulfide shampoos too much? Excessive use of selenium sulfide in large quantities over an extended period of time will cause you to suffer from the same symptoms that you’re trying to avoid, except they’ll be even more severe. There are three elements to this. The first is that you use selenium sulfide shampoos too often. “Too often” can be defined as two times a day or even once every day. The other element is that you leave selenium sulfide shampoos too long on your skin or scalp. Here, “too long” can be defined as more than two to three minutes. The third component of this is that you don’t rinse your hair properly. The best selenium sulfide shampoo manufacturers will instruct you to rinse your hair for around five minutes. Anything less and you may see some minor side effects. Apart from this, selenium sulfide isn’t ideal for jewelry. 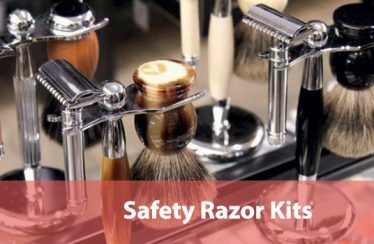 It is recommended that you don’t wear jewelry while using these shampoos as most metals get discolored after prolonged exposure to selenium sulfide. When you pay over the top, you expect premium results. The Clinical Solutions Dandruff Shampoo from the past-masters of dandruff control, Head & Shoulders, is really expensive but it is also really effective. In fact, its effectiveness actually ends up justifying its high cost and that isn’t something you can say often. This “clinically proven” selenium sulfide shampoo isn’t only incredibly successful against dandruff but also very good against seborrheic dermatitis. This means that it can handle everything from irritation and itching to redness and flaking in the scalp. Like every shampoo we’ll be reviewing on this page, this one has selenium sulfide in 1% concentration. This means that this is the maximum strength selenium sulfide shampoo you’ll find in the market unless you get a prescription for stronger products. However, there are two facets that set this shampoo apart from all competing products. The first is that it commits to up to 7 days’ protection against dandruff and associated problems. Even with this commitment, how effective this shampoo will be for you will depend entirely on the intensity of your problem. For most people, though, this shampoo should get you through 4-5 days without re-application. The other standout quality of the Head & Shoulders Clinical Solutions Dandruff Shampoo is its scent. Generally, the scent of even the best selenium sulfide shampoos divides opinion. This isn’t the case with this shampoo. Its scent is a combination of calming lavender and fresh citrus. Except for unique preferences and eccentricities of individuals, we’re sure that its scent will appeal to most of you. We also see this selenium sulfide shampoo’s creamy texture as a definite positive. However, it may not produce as much lather as you may be used to with other shampoos. To get the amount of lather that you’re used to, you’ll have to use more shampoo in every wash which can push up your spending even further. Doing this can also make the wash too strong for you and result in dry hair or even some irritation in the scalp. Luckily, though, with the “up to 7-days of protection” you shouldn’t have to use this shampoo too frequently in a week. Who’s it for: If you can’t handle selenium sulfide shampoo smells and are more open to expensive but effective products, you’ll find this shampoo to be the perfect fit for your needs. Traditionally, Head & Shoulders shampoo formulae revolve around pyrithione zinc. However, this is the second shampoo from this brand that has made it to our list of the best selenium sulfide shampoos. This company is just that good when it comes to shampoos. Even when they’re not working with their primary ingredient, they turn out excellent products. Don’t mistake the Head & Shoulders Anti Dandruff Clinical Strength for the Head & Shoulders Clinical Solutions Dandruff Shampoo, though. They may have the same active ingredient i.e. 1% selenium sulfide, the rest of their formula differs greatly. Even the bottle size varies between the two. However, they cater to the same problems i.e. itching, flaking, scaling, and dandruff but, because their formulae differ, they do this differently. There is no question about the effectiveness of this shampoo. 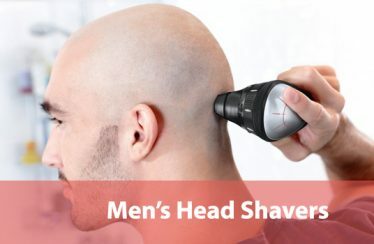 It deals with dandruff decidedly and resolutely. According to some users, it has worked when all other brands have failed at dealing with their dandruff or seborrheic dermatitis symptoms. Despite all the goodness we’ve already mentioned, the headline feature of this shampoo is its pH balance. Its formula allows it to be pH neutral, which means that it is neither too acidic nor too alkaline. This makes this shampoo great for virtually all hair types. A neutral pH balance also reduces the likelihood of its ingredients reacting with other compounds in your hair. As a result, you’ll be able to use this shampoo even if you have chemically treated or color treated hair. Where this selenium sulfide shampoo suffers is its scent. It has a distinctly medicinal smell that can be very off-putting unless you’re already used to it. Fortunately, you can handle this medicinal smell very easily with the help of a conditioner. Just condition your hair with another product after you wash it with this shampoo and the smell will be banished, as many existing users of this shampoo will testify. In terms of cost, there is a surprising variation out there. The product is available as a single bottle as well as a set of two. The double pack, of course, is cheaper but the single pack may be safer if you’re trying this shampoo for the first time. Despite the advantage of the single pack, we will suggest the pack of two simply because it offers much more value than the single option. 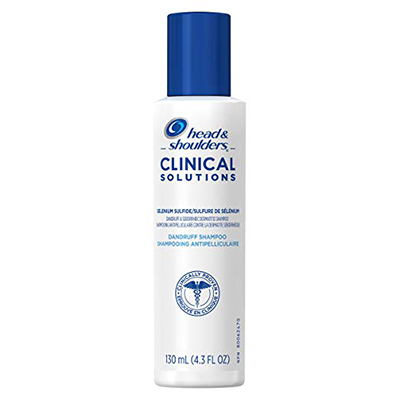 Who’s it for: If the smell is not a big concern for you or if you’re okay adding a conditioner into the mix and if you have dandruff or seborrheic dermatitis, then you absolutely must try the Head & Shoulders Anti Dandruff Clinical Strength shampoo. It is just too effective to ignore! Generalizations simply don’t work when it comes to shampoos. While one may work for your friend, it can easily bomb completely when it comes to you. Similarly, you may find your miracle shampoo but it may do nothing for your friend. This happens because different people have different types of hair. Similarly, the intensity and the nature of dandruff or seborrheic dermatitis may vary from one individual to another. It is because of this diversity that there are no all-conquering selenium sulfide shampoos on the market. This is precisely why you may end up trying more than one shampoo containing selenium sulfide. No list of best selenium sulfide shampoos will be complete without at least one Selsun product. Selsun is as much of a leading name in the shampoo industry as Head & Shoulders. It has a history of being able to effectively treat dandruff and other hair related problems. 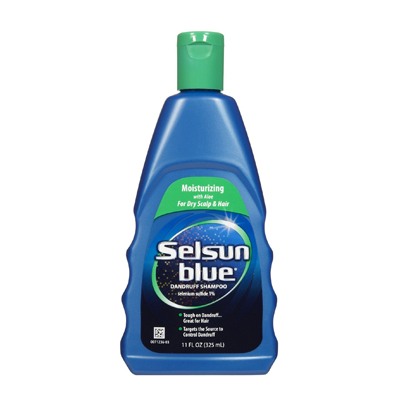 Our first pick from this manufacturer is the Selsun Blue Moisturizing Shampoo with Aloe. 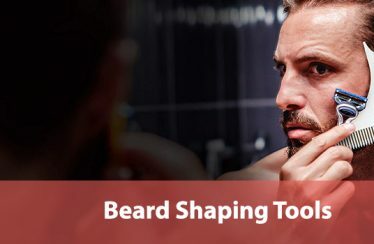 It promises to fix problems like dandruff as well as symptoms of seborrheic dermatitis such as flaking, itchiness, redness, scaling, and irritation. It comes through on that promise and further adds to that basic premise. For example, this shampoo is very good at dealing with tinea versicolor. Being a fungal infection, it’s not surprising that this shampoo’s selenium sulfide content has such a good impact on sunspots. Another additional quality is the inclusion of aloe vera in the formula. The direct outcome of aloe is softer hair after a wash, which is a fairly unique quality in maximum strength selenium sulfide shampoos. 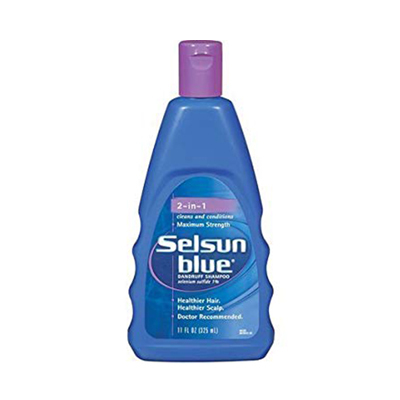 The thing with the Selsun Blue Moisturizing Shampoo with Aloe, like most selenium sulfide shampoos, is that it has an unusual smell. We’re calling it unusual because some users love it while others absolutely hate it. The best way to describe the smell would be that it is very strong and citrusy but tinged with something distinctly medicinal. This shampoo is a cheaper option compared to its main competitor, Head & Shoulders. This can be a major difference for many buyers, which is why we felt it was worth mentioning. Its price definitely makes it worth a shot for people with dandruff or any of the many seborrheic dermatitis symptoms. 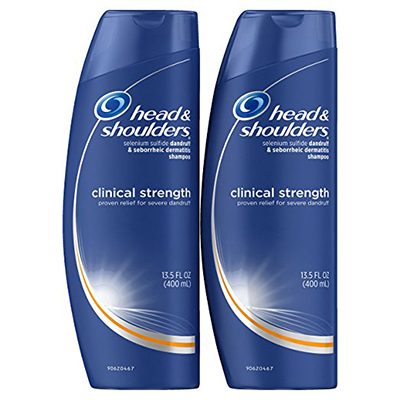 Who’s it for: If you’ve tried Head & Shoulders without relief from dandruff and seborrheic dermatitis or if you want a cheaper option, then you can’t go wrong with this one. Every shampoo in this list of best selenium sulfide shampoos is capable of handling even the severest of dandruff problems. Each of them, by virtue of having selenium sulfide as an active ingredient, is also very efficient at countering seborrheic dermatitis symptoms like flaking, itching, scaling, and redness. The same applies to the Selsun Blue 2-in-1 Dandruff Shampoo. It is another maximum strength selenium sulfide shampoo that doesn’t need a prescription to be accessed even though it is doctor recommended. It can resolve the problem of dryness and itchiness by cleansing your scalp of all dry skin cells. It is because of this that it is so useful in dealing with seborrheic dermatitis as well. This shampoo is designed to be suitable for all hair types too, which will come as a relief to many people with overly sensitive or dry scalp. Some people have even used it to combat tinea versicolor of the skin. While this shampoo works well in that role, you may still want to be careful because it can really dry up your skin and hair. While all those qualities mentioned above are reason enough to try this shampoo, the real allure for you may be the fact that it is a 2-in-1. Those of you not well versed in shampoo lingo would be happy to know that 2-in-1 means a product that contains both shampoo and conditioner. However, be advised that even though this product contains conditioner, it is mild. It works for most people but if you have especially dry hair then you may not see as much conditioning as you expect. Its smell is another thing that straddles the line of good and bad. There are diverging views about its smell ranging from “very nice” to “unusual”, “artificial”, “chemical”, and “awful”. It will definitely be a matter of perspective so you may want to keep an eye, or nose, on that one. Who’s it for: If you don’t like using multiple products simultaneously, then this shampoo’s 2-in-1 nature will appeal to you. Additionally, if other Head & Shoulders and Selsun products didn’t work for you, then this 2-in-1 might be a good choice for you. It is surprising how the cost of the same shampoo formula can range from amazingly exorbitant to incredibly affordable just because the manufacturing company is different. 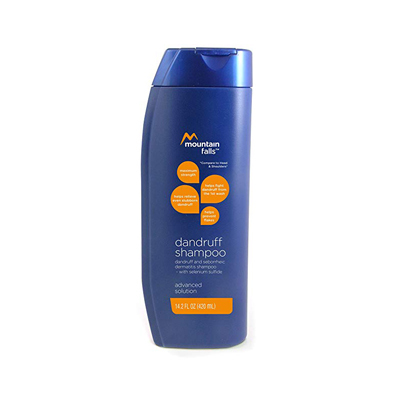 Mountain Falls is a brand from Amazon that offers the same selenium sulfide formula as the Head & Shoulders Anti Dandruff Clinical Strength shampoo but at a fraction of a price. How much of a fraction? Consider the fact that Head & Shoulders shampoo costs about $1.19 per ounce while this one comes out to a mere $0.28 per ounce. This means that Head & Shoulders is about 4 times more expensive than Mountain Falls even though their formulas are nearly identical! The Mountain Falls Dandruff & Seborrheic Dermatitis Shampoo Advanced Solution does everything that is advertised – not only by Mountain Falls but also Head & Shoulders. This includes relieving everything from dandruff to flaking, scaling, itching, redness, and irritation caused by seborrheic dermatitis. This shampoo is even ideal for people with a sensitive scalp. This means that this shampoo is excellent for all hair types. It might not as good for oily hair, though. If you have oily hair, you may want to be careful with this shampoo because some users have stated that it makes their hair oily. 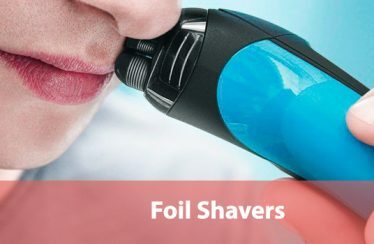 Therefore, we shudder to wonder what it would do to someone who already has oily hair. At the same time, others say that it neither leaves their hair dry nor oily. So, it isn’t set in stone that it’s not ideal for oily hair. We can say that this didn’t happen to us. Still, this is something that you may want to discover for yourself. This shampoo has a creamy texture and creates a lot of lather. You won’t have to use a lot of it in every wash. This actually makes this shampoo even more pocket-friendly since you’ll be using less of it. You should, however, give it a pass if you have grey hair. This shampoo doesn’t do very well with the blank canvas. You may end up with yellowish, orange hair if you’re not careful. If it does happen to you, you can still rinse your aggressively to get rid of the coloring. You may also want to be careful with the smell. Not many people have liked its smell and most say it is “medicinal”. That isn’t good if you’re about to go on a date. Maybe you can use it on non-date days i.e. once or twice a week when you sit down with Netflix? Taking into account everything though, this shampoo remains quite special simply because of its price. Who’s it for: If you’re financially prudent but still need a solution for your dandruff of seborrheic dermatitis problem, then Mountain Falls may be the answer for you. As it is, you have to try it just too see if it can save you tons of money. Vichy is one of the most reliable and trustworthy names. What many may not know that it is owned by L’Oreal, and that only adds to its reliability and reputation. 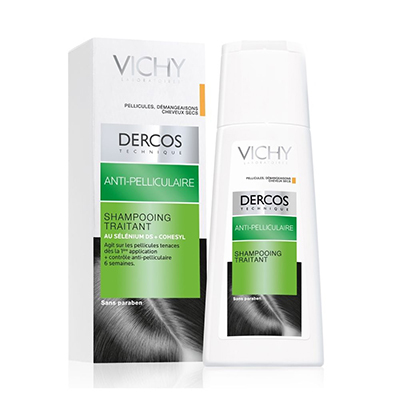 Vichy Dercos Anti Dandruff Shampoo for Normal to Oily Hair is the first ever patented formula from this famous brand that contains selenium sulfide. As its name suggests, this shampoo is intended for the full range of hair types ranging from normal to oily. This shampoo is special because even after a heavy wash, it will leave your hair light, bouncy, and easier to style. This isn’t something that any of the other shampoos in this list of best selenium sulfide shampoos can claim. Not only is this shampoo good for your fashion ambitions, but it also performs its primary function efficiently too. It counteracts dandruff as well as any other shampoo on this list and it does so without having any parabens in its formula. Its scent is also a combination of menthol and fresh mint leaf. This cannot be anything but pleasant not only for you but for people around you too. The only downside of this shampoo is that it can leave your hair oily. This happens when the shampoo is too effective at removing dry skin cells from your scalp. Along with the dead skin cells, body oils are also removed. As a result, the body tries to compensate for the loss of it by generating more body oils. This is what can make your hair oilier if you use this shampoo. You should also take note that this shampoo is on the expensive side. In fact, ounce for ounce, it is the second most expensive product on our list. Still, this is understandable because Vichy is a premium brand and this shampoo is, indeed, very effective. Who’s it for: If you’re one of those people who like to style their hair before stepping out, then this is the product for you because it leaves hair soft, light, and bouncy after wash.